I’ve got an idea for a great tragicomedy: The Riding Writer. It’s about an author who is also a cyclist. 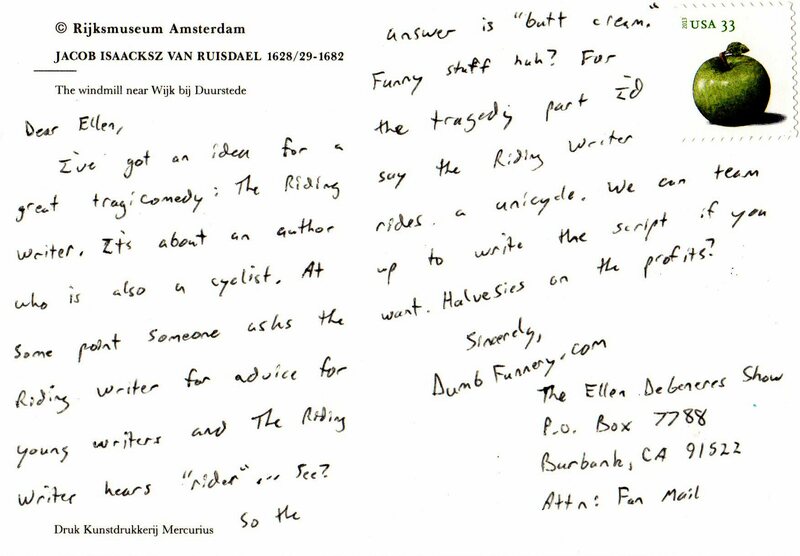 At some point someone asks the Riding Writer for advice for young writers and The Riding Writer hears “rider” … See? Funny stuff huh? For the tragedy part I’d say the Riding Writer rides a unicycle. We can team up to write the script if you want. Halvesies on the profits?